Gibbes Wharf was named for its builder, William Gibbes (1722-1789), an attorney, planter, and factor. 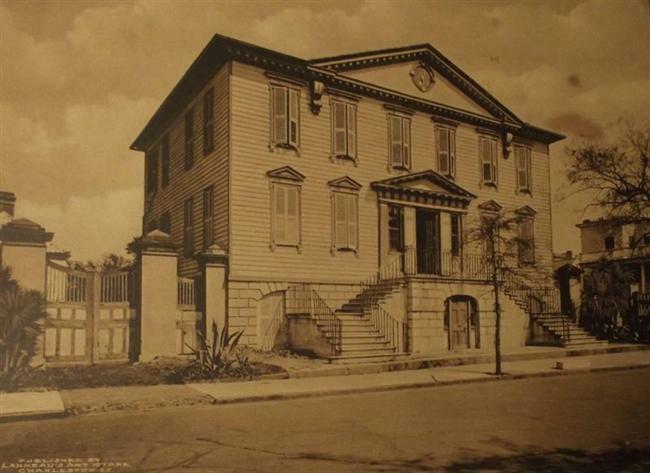 He and Robert Mackenzie, Edward Blake, and George Kincaid developed the land at the south end of Legare Street. 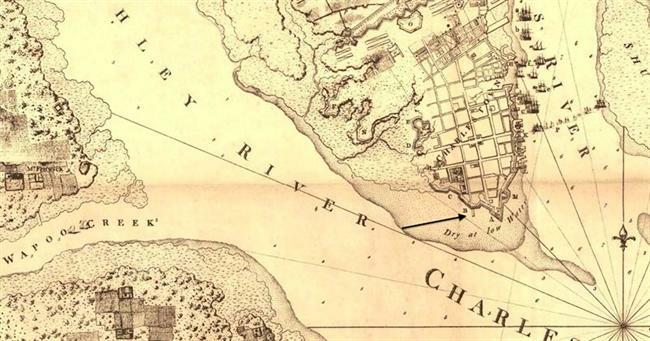 They built retaining walls, filled the marsh at the head of Conseillere’s Creek, and combined the “made land” with several Town Lots and water lots that extended out to the channel of the Ashley River. 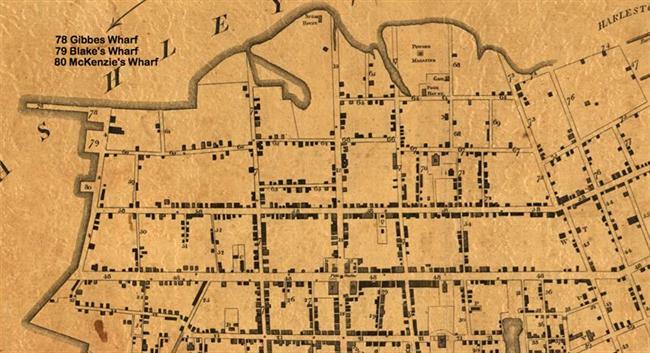 In September, 1772, the partners divided the property among themselves by conveying the entire tract to Samuel Legare, then purchasing it back from him in separate transactions. During the American Revolution, commercial shipping in and out of Charleston Harbor continued until the British siege of the city began in early 1780. 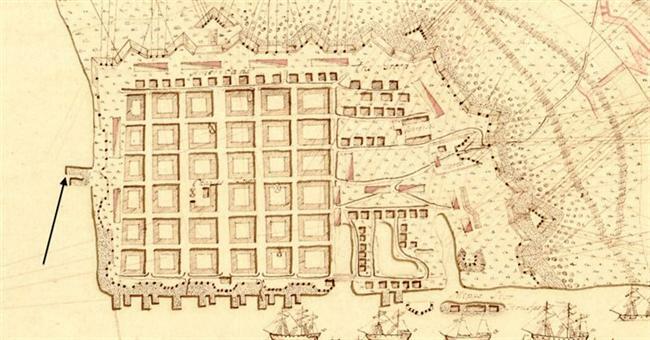 The defenders threw up new defensive works all along the waterfronts, including a battery at the head of Gibbes Wharf. After the surrender of Charleston in May 1780, William Gibbes was exiled to St. Augustine. His wife was evicted from their home, which the British used as an army hospital until the winter of 1782. The occupying army also commandeered Gibbes’s schooner and its enslaved pilot, Toney, and demolished two warehouses associated with the wharf, using the material for their own projects. In an advertisement published in January 1786, William Gibbes promoted the “safety and conveniency of his wharf … which will prevent the southward boats in particular from the risk and trouble of going round White Point, as well as save them the loss of two tides.” A few months later, the value of the wharf was increased by City Council’s passage of “An Ordinance to prevent the landing of Naval Stores on any of the Wharves in Charleston except such as are therein mentioned.” Because of their combustibility, naval stores (principally tar and turpentine) were to be unloaded and stored at the three wharves furthest from the center of town – those of Gibbes and Blake on South Bay, and Gadsden’s on the Cooper River above Laurens Street. William Gibbes died in February 1789. Two years later, in February 1791, his widow, Mary (Cook) Gibbes, and their son William Hasell Gibbes advertised the sale of the wharf and residence. The properties were not sold, and the wharf deteriorated during the ensuing months. In February 1793, when Mrs. Gibbes again offered to sell the house and wharf, she described the “wharf and land whereon the bridge lately stood.” Nearly two years later, in November 1794, Mrs. Sarah Smith bought the dwelling house and grounds at the north side of South Bay. In early 1796, William Gibbes’s executors again attempted to sell his wharf “together with the low water land whereon the bridge formerly stood. The premises have been lately improved though not finished, and if attended to would yield a handsome profit … there is a bathing house, out of repair, which might be converted into a scale house.” Finally, in 1798 they sold the property to Christopher Williman. 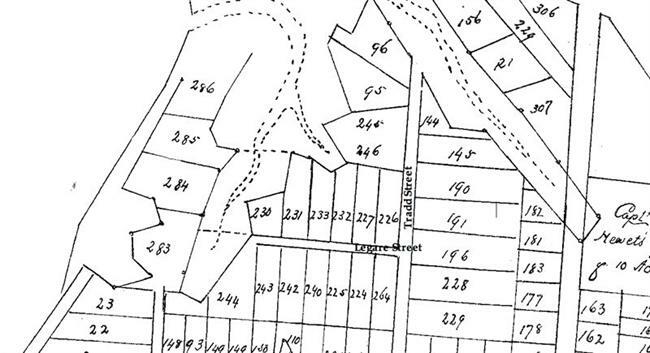 About a year later, in March 1799, Williman also bought sixteen acres of low-water lots (below the high tide line) from Gibbes’s estate. Christopher Williman was a planter and investor. Gibbes Wharf was one of many downtown properties he accumulated; he was not actively involved in its management. The wharf was operated by Peter Smith, who lived in the Gibbes house purchased by his mother in 1794. A factor, Peter Smith traded in naval stores and building materials. Gibbes Wharf was the hub of his business; by 1806 it was generally called Smith’s Wharf. Upon Smith’s retirement in 1823, Capt. George A. Norman continued the business as a factor of wood, lumber, bricks, and lime. 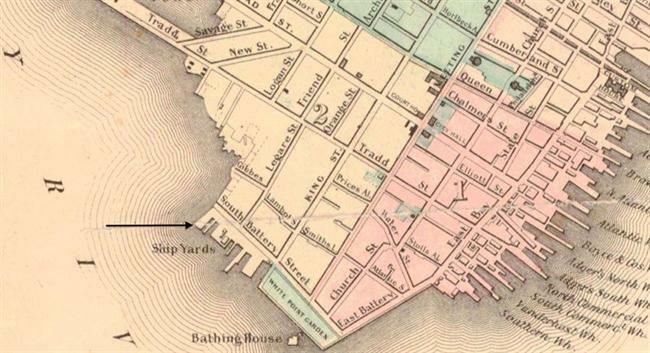 From that time, a succession of businesses occupied the wharf, most of them as factors of lumber and naval stores. 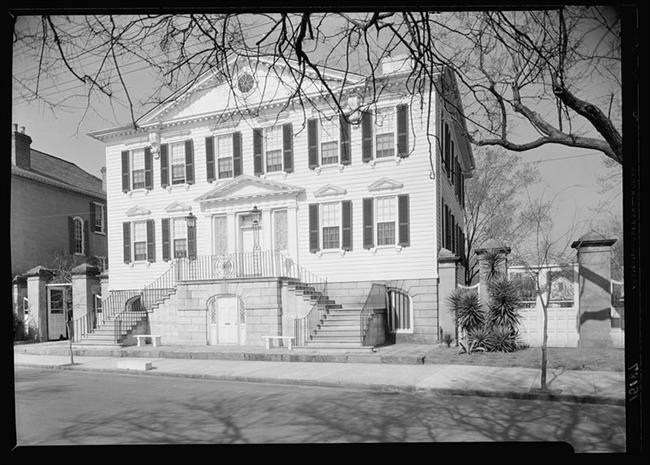 In 1794, William Gibbes’s widow and son sold the Gibbes mansion house to Mrs. Sarah (Moore) Smith, the widow of Thomas Smith. She shared the residence with her son Peter Smith and his wife Mary Middleton, and they remained after her death in 1799. The house remained in Sarah Smith’s estate until after Peter Smith’s death. In 1826, Smith’s nephew Thomas Smith Grimké bought the house from the estate of Grimké’s grandmother, Sarah Smith. Thomas Smith Grimké (1786-1834), left the Gibbes house to his wife, Sarah Drayton Grimké; in turn she left it to her sons Theodore Drayton Grimké and John Grimké Drayton. In 1885 they sold the property to J. B. E. Sloan, who made 64 South Battery his home. Sloan’s executors sold it to Cornelia Roebling in 1928. A public market operated near Gibbes Wharf during the first decade of the nineteenth century. 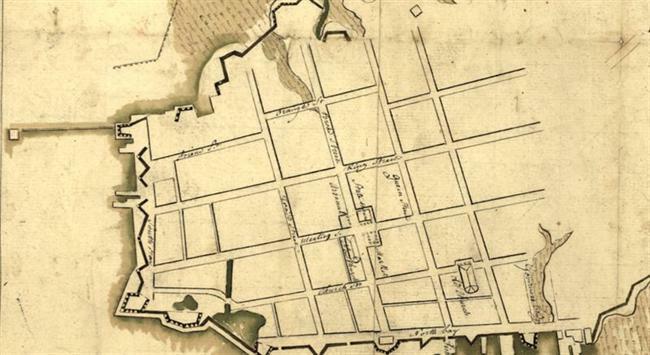 In 1801, City Council responded to petitions from residents of the southwest part of the city by funding a temporary public market near the public hay market on South Bay. For several summer seasons, Conrad Creitzburg operated the “South Bay Market,” where he sold beef, veal, mutton, and vegetables. 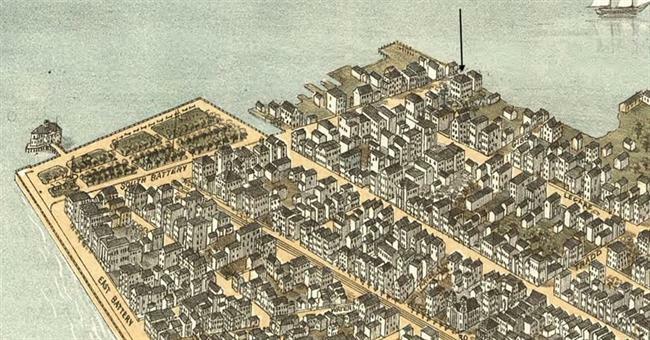 As the permanent market along today’s Market Street took shape after 1804, the South Bay market was phased out. In April 1810, the city’s Commissioners of Markets sold the market and hay market buildings for removal by the purchaser. 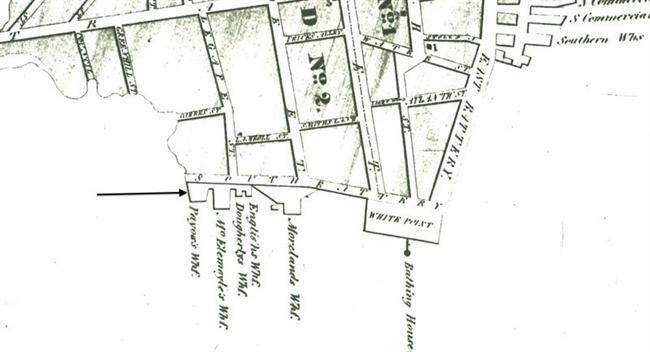 The site of William Gibbes’s wharf lies along the east side of today’s Lenwood Boulevard, between South Battery and Murray Boulevard. The City of Charleston’s “West End” improvements between 1909 and 1922 filled forty-seven acres of wetlands along the Ashley River between White Point Garden and Tradd Street. 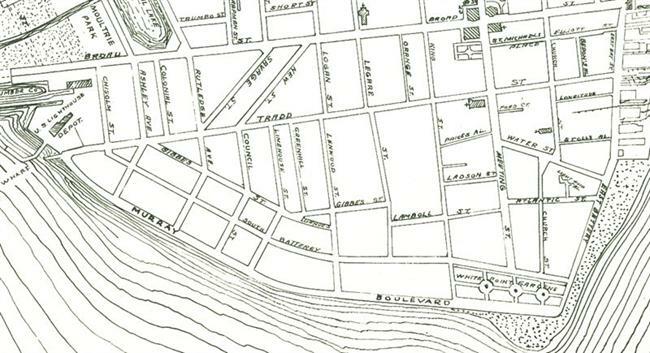 The project included a seawall and boulevard (Murray Boulevard), extensions of Gibbes Street, South Battery, and several north-south streets, and 191 building lots. 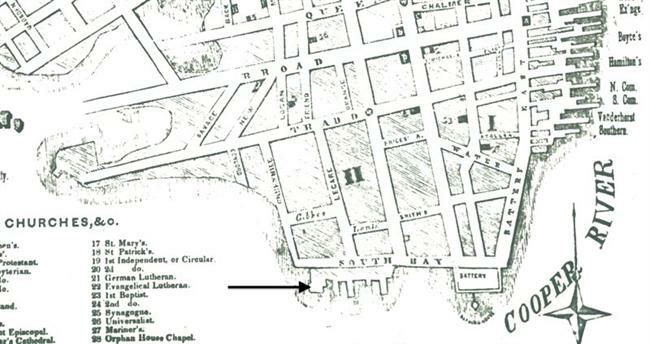 Work was essentially completed in 1922, when the boulevard was extended along the south side of White Point Garden to connect with East Battery. That work was funded by philanthropist Andrew Buist Murray, and the waterfront boulevard was named in his honor. Charleston City Gazette, March 17, 1796; May 12, 1804; May 25, 1805; April 14, 1810. Edwards, Alexander. 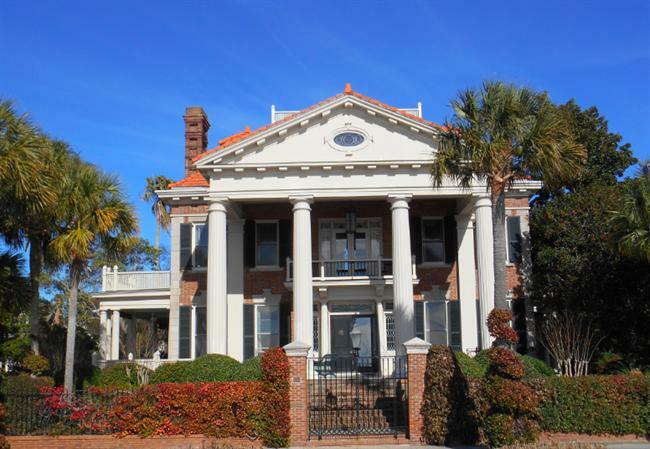 Ordinances of the City Council of Charleston, In the State of South Carolina, Passed since the Incorporation of the City, Collected and Revised Pursuant to a Resolution of the Council…. Charleston, 1802. South-Carolina Weekly Gazette, South-Carolina Gazette and General Advertiser, State Gazette of South-Carolina, January 6, 1773, February 27, 1775, July 19, 1783; August 12, 1783; January 2, 1786; March 12, 1787; February 17, 1791; February 13, 1793. Zierden, Martha, et. al. Georgian Opulence: Archaeological Investigations of the Gibbes House. Charleston Museum Archaeological Contributions 12, December 1987 (Historic Charleston Foundation). “Boulevard Rose From Mire.” Charleston Evening Post, August 23, 1957. H. A. M. Smith’s reconstruction of the 1680 Grand Modell of Charleston shows Town Lots 283, 284, 285, and 286 between the marshes of Ashley River and Conseillere’s Creek. William Gibbes and his partners acquired Lots 283 and 284 and the water lots to the south, extending to the low-tide line. 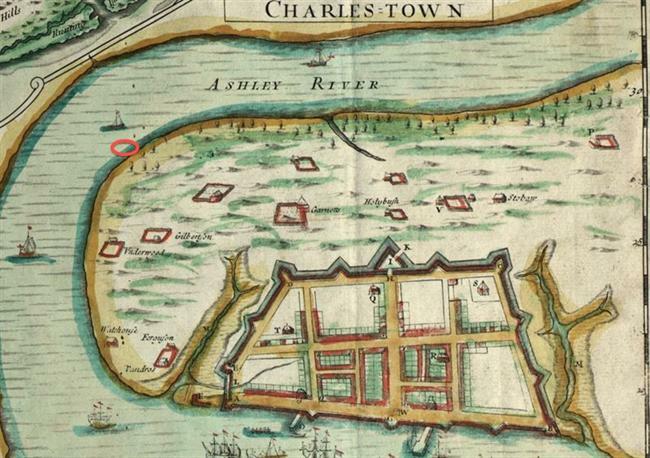 General area of Gibbes Wharf, 1711. 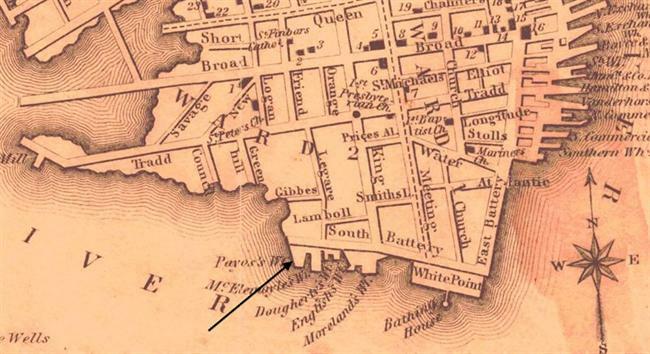 Wharves along South Bay, 1788. In March 1787, William Gibbes offered for sale “That extensive and well situated wharf on South Bay, running down to the channel of Ashley river, at which any vessel that can come over the bar, may load or unload… The great safety of this river, and its freedom from the danger of northeast winds and from fire is well known, to which may be added the great advantage masters of vessels may have in keeping their seamen on board. Also, several convenient, safe and spacious stores, together with a scale house.” The property was not sold, and Gibbes held it at his death. 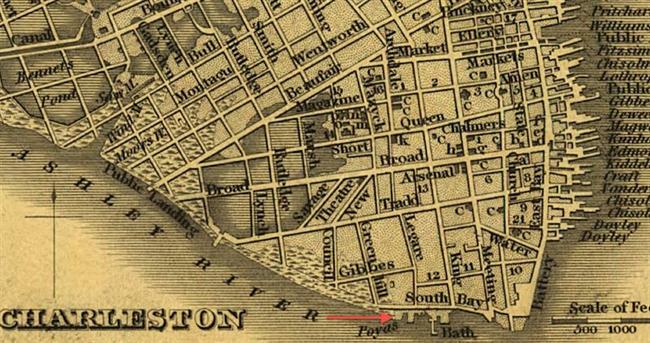 James Poyas owned the wharf between 1828 and 1844. Poyas Wharf, 1844. The length of the pier in the 1840s is not known. 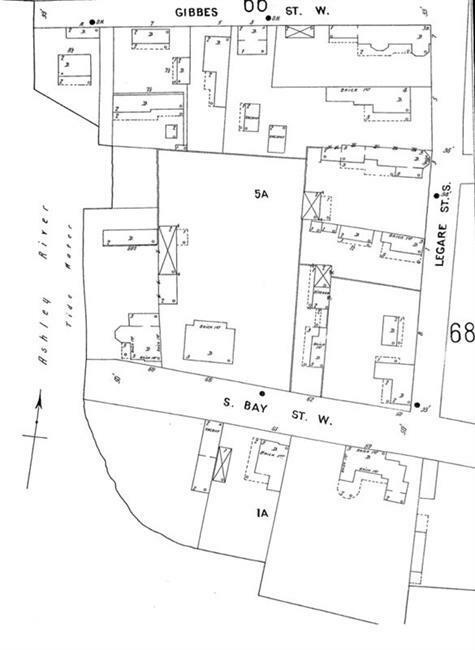 William Bird bought Gibbes Wharf in 1844, and used it as a shipyard. The shipyard had been discontinued by 1872. South Bay and Legare Street, 1902. 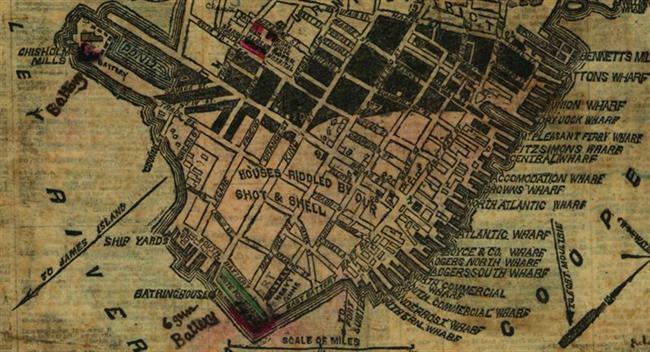 1915 city map showing the new Boulevard. The road was not extended in front of White Point Garden until 1922. 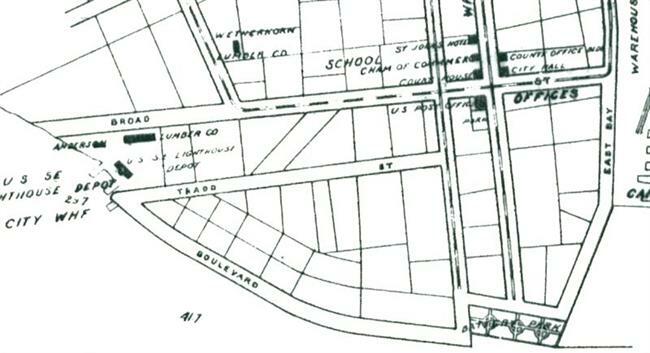 1931 city map shows Murray Boulevard. William Gibbes’s “spacious, commodious, and pleasant mansion house” was owned by J. B. E. Sloan and his heirs from 1885 to 1928. C. Bissell Jenkins, a real estate developer, built the first house on Murray Boulevard. Designed by architects Walker and Burden, it was built by Simons-Mayrant Construction Company and completed in 1913.